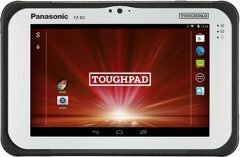 This tablet computer (AKA Panasonic FZB2 tablet) has a 7-hour usage time that's usually OK, but a bit unimpressive for something that poses as a business tablet, but at least backs this up with the option to upgrade batteries for 14 hours of usage, while it parades a MIL-STD-810G certification on top of an IP65 rating against water and dust. Besides, it also steps up in hardware, as evidenced by its 2GB RAM and 2.4GHz maximum processor speed. 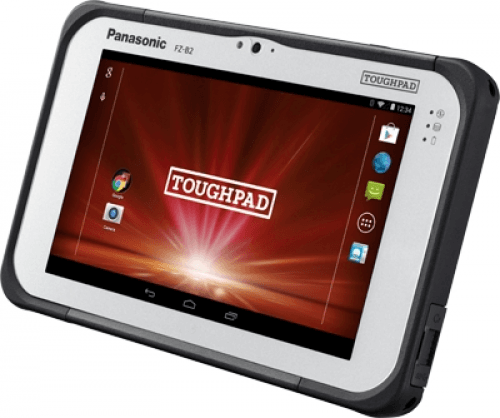 Also known as Panasonic ToughPad FZ-B2, Panasonic FZB2 tablet. More Panasonic tablet computers See all the recent Panasonic tablet computers.